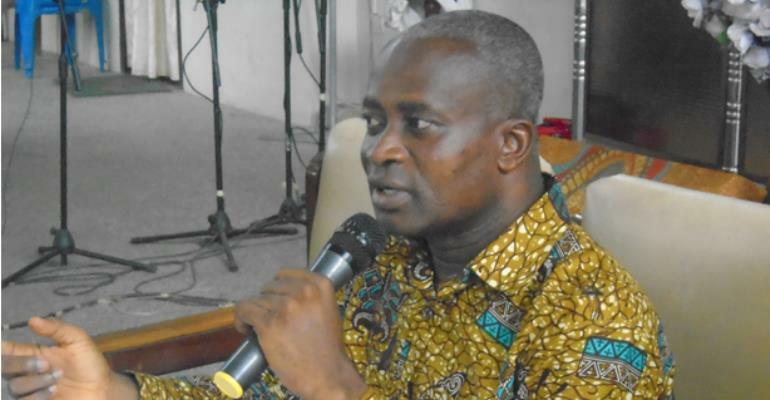 The District Chief Executive (DCE) for Sunyani West in the Bono Region, Mr. Martin Obeng has advised the youth to take advantage of all job creation opportunities and skill training programmes offered by the government. He noted that this will make them have a competitive urge in the job market. 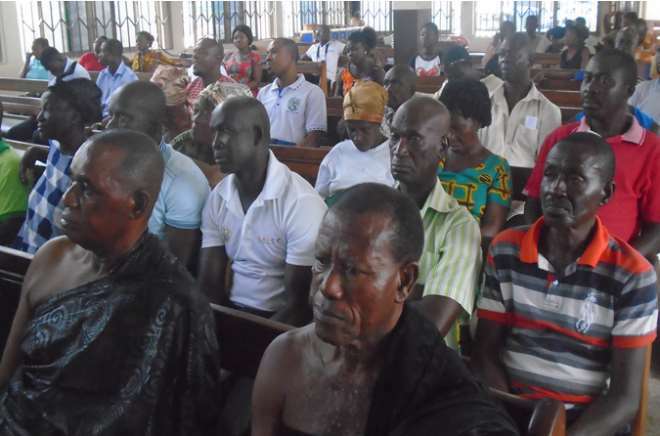 He was speaking at a community durbar organized by the District Assembly in collaboration with Sustainable Mission AID International (SMAID), a Non-Governmental Organization (NGO) that is operating in the district in the area of governance. He observed that acquisition of employable skills by the youth for taking advantage of skills training programmes will reduce youth unemployment in the district. The main purpose of the durbar was for the public to assess the performance of the Sunyani West District Assembly from 2017 to date and also to allow the assembly presents to the public some of their achievements since 2017 to date. Mr. Asante Gilbert the coordinator of SMAID, said SMAID is geared towards improving Local Government Accountability Mechanisms Projects (ILGAM) and to strengthen Citizens oversight responsibilities of Capital development projects to improve Governance Transparency, Accountability and performance. He also indicated that the main objective of the project is expected to contribute to the sustainable development goals (SDG) 16; which seeks to promote peaceful and inclusive societies for sustainable development, provide access to justice for all and build effective accountability and inclusive oversight responsibilities of capital development projects to improve local government transparency accountability and performance. Mr.Asante also indicated that the Project is implemented by Sustainable Mission Aid (SMAid) International formerly MAP International Ghana in three selected Districts in the Brong Ahafo Region namely; Sunyani West, Asutifi South and Asunafo South. The DCE, Mr. Martin Obeng presented highlights of the performance and achievement of the various sectors in the district from 2017 up to date. The sectors he touched in his presentation includes education, agriculture, health economy among others. On sources of revenue mobilization for the district, the DCE said Common fund, MPs Common fund and People With Disability Fund (PWDs), Internal Generated Fund. He also urged the youth to make good use of the opportunities created by NGOs operating in the district. After the presentation of the assembly projects, programmes, and activities, participants asked questions for clarifications and others made contributions to the programme. The Queen Mother of Odomase No1 Traditional area, Nana Abena Boatemaa 1, who chaired the function thanked the District Assembly and SMAid for providing such platform for them to assess the performance of the assembly.